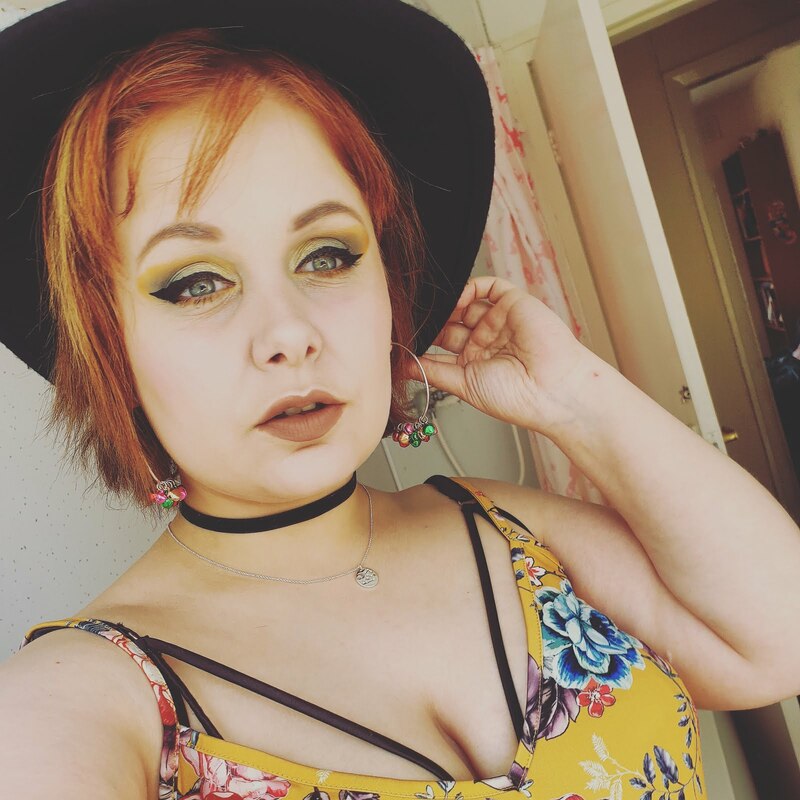 Is it me or has summer been absolutely amazing this year? They have actually been more than one day of sunshine this year and I have actually had a chance to use my summer wardrobe and barely bring out my coat and umbrella. I really hope I haven't jinxed the weather by saying this haha. Anyways during the summer months, I love wearing fruity, citrusy and floral scented fragrances and below are some of my absolute favourites to wear and I have been alternating wearing them during the last couple of months. I got this during the January sales in a soap and glory gift set and honestly, at first, I wasn't expecting much until I actually sprayed it! Since then I have been hooked. Every time I wear this fragrance I get compliments and I can see why! It has the scent of bergamot, amber and musk with features of lemon oil and lavender oil. It smells more like a perfume than a body mist and every movement and every breeze that goes by you can smell this lovely citrusy fragrance. It is such a bargain and I will 100% repurchase this. Where to buy: Boots stores and online. This perfume has been on my fragrance wishlist for years and once I got it for Christmas it has been used only on special occasions over the past few months. It has the most stunning out of this world bottle and the scent is something else. Alien is a mysterious yet soft and comforting with its rich woody amber floral fragrance. It contains jasmine sambac, cashmeran wood and white jasmine. I love how long lasting this fragrnace lasts and how lovely it smells even after wearing it to a party you can smell it perfectly just like when it was first applied at the start of the evening. Where to buy; Can be bought in many perfume shops and Debenhams. Who else takes ages in the body shop testing out which body butter, mist or perfume to get? I know I sure do! It was a tough choice picking this one as they are so many other nice fragrances in the range too. Grapefruit body mist is a delicately scented grapefruit mist that is perfect for everyday wear for all-day freshness. I like to use this on quiet days and also on my bedding and cushions. It is a very nice zesty yet fresh scent to have around the house too. Now I am unsure if they sell this perfume in solid perfume anymore but I can find the perfume spray of it. This was on my wishlist for ages but every time I went to Lush I ended up just buying different bath bombs until I decided I might. as well give it a try. Kerbside violet is a super sweet and floral scented perfume and it smells exactly like parma violet sweets. Now I know that's not everyone's favourite but I think it smells lovely especially during the warmer days. This contains violet leaf absolute, ylang-ylang oil and also rosewood oil. Where to buy? Lush stores and online. 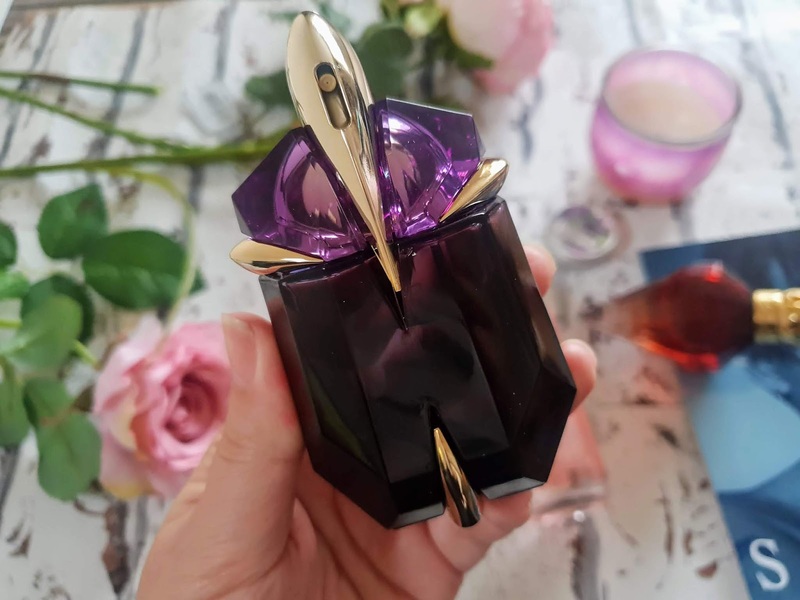 I am usually not drawn into celebrity perfumes but I just loved the bottle of this perfume so I had to try it out and my goodness I am so glad I did. Killer Queen is floral yet fruity fragrance with its top notes of wild berries, dark plum and bergamot. Its heart notes are red velvet flower, rainbow plumeria and natural jasmine sambac. Its base notes are the delicate ones that you can randomly detect during the day and they are cashmeran, natural patchouli heart and liquid praline. Where to buy? Many stores including perfume stores and online. I hope you all enjoyed my favourite summer fragrances. I love them all and I am sure my collection will grow eventually and I sure do have a wishlist of perfumes I want to get in the future and I will give you all a taster of fragrances that are on my wishlist; Viktor & Rolf 'Flowerbomb' Eau de parfum, Tom Ford 'Black Orchid' Eau de parfum and Yves Saint Laurent 'Black Opium' eau de parfum. 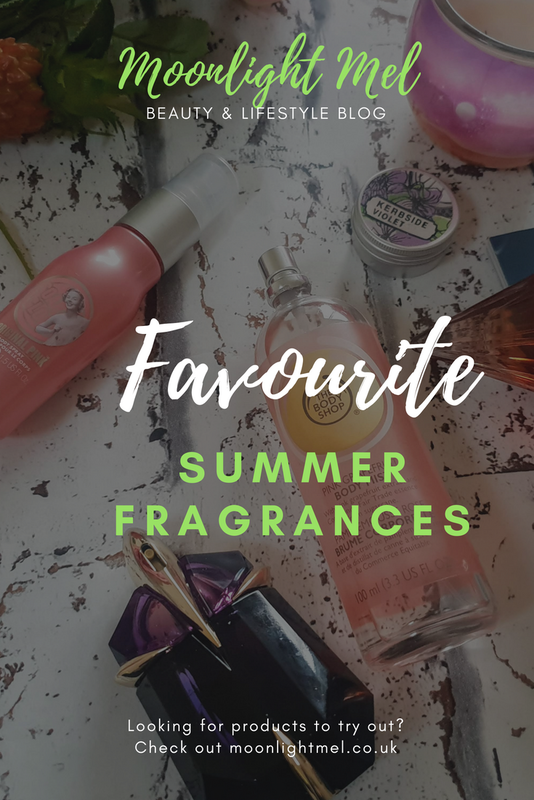 Which perfume/fragrances are your favourites in the summer? 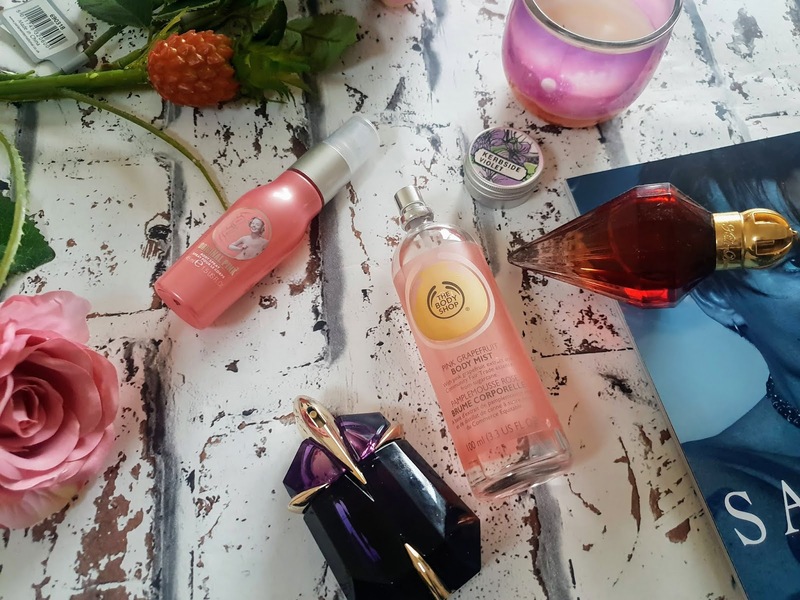 The Body mist from The Body Shop sounds lovely! I've used their mango body mist a lot! Quite calming is it as well as fresh.